The legendary Baja 1000, aptly nicknamed the “granddaddy of all desert races”, is quickly creeping up. The event will be held November 16th-20th starting in Ensenada and ending in La Paz. So far, participants from 35 states and over a dozen countries have already entered the rugged and internationally televised race that rolls through some of the roughest terrain in the world. 300 entries are expected in the 33 pro and 7 sportsman categories. The event, the 43rd held, is also expected to draw approximately a quarter million spectators and fans. 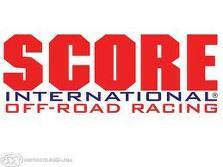 Hopeful Baja 1000 racers can enter up until November 17, 2010. The pre-race briefing that all must attend will be on the 17th also. Almost any kind of vehicle ever produced has a place in the race. While traditional racing cars, trucks and motorcycles may make up the majority of the entrants, dune buggies, ATVs, and custom vehicles all have a slot in the race and a chance to win in their category. The race will wind across both sides of the peninsula and always promises to be quite a show regardless of where along the way you catch a peak. Started by two men racing their Honda 250 motorcycles in 1962, Dave Ekins and Bill Robertson Jr., the race has undergone many changes and even bans over the decades since sports fans have been descending on the desert to kick up sand and roar their motors. Despite any past changes, the Baja 1000 only gets bigger and more intense each year. It is the largest sporting event in Baja and the oldest desert race anywhere. With participants from all walks of life, including Hollywood and rock legends like Ted Nugent, Steve McQueen, and Patrick Dempsey, the race draws a wildly diverse crowd. XGame stars, drag racers, NASCAR racers, and motocross daredevils all have made the race a venue for them to showcase their talents. All who enter, whether well known and the unknown alike, love the adventure and challenge the Baja 1000 poses to all who dare to make the trek. This is a happy time for Bill and Carol Spradlin and the four young girls that will be arriving to their new home today. Their new home is Casa de Fé, an orphanage with the goal to provide a healthy, family-type environment for abandoned and orphaned children. This has been a long time coming, having started the project back in October 2006. They have proceeded forward step by step, as funding was possible, and with each step of the way, they’ve had to overcome insurmountable obstacles. Today the dream is a reality. With a group of dedicated volunteers, Casa de Fé will meet the daily needs of each child with loving care, schooling, and other essential services. Children will share meals, play together, go to school, do homework and learn to count on a caring, secure environment. Bill and Carol, originally came down to San Felipe to semi-retire and work on projects with their church. They just wanted to worked in the US 6 months of the year and then return to Baja for the other 6 to work on charity projects. But that didn’t happen, their construction business took off and although they didn’t get to go back and forth as they had hoped, it worked out for the better; Baja become their home and according to them, “it has allowed us to start the orphanage”. Now 4 years later, with completed construction on the first of 3 homes of the orphanage, they have achieved another big milestone and their first children will occupy Casa de Fé. Ultimately, with the continued support and help of the community, they will be able to house 12 girls in each home. The homes will be staffed from the local Mexican community with a mom and dad for each house to give the children the cultural and family values needed to succeed in life. Complete screening was done by the Mexican government to ensure the couple is suitable for the project. In addition, the Spradlin's have spoken with the Municipal and State officials and have received a lot of help and encouragement and promises of ways to help the girls to go on to higher education if that is what they choose to do. They are working to secure funding for the monthly costs necessary to run the orphanage. Their monthly budget for the first house is only $3000 US/month. They also need volunteers to work, donate materials, raise funds, and pray for the children and for Casa de Fé. They need families and organizations to pledge monthly funds to help maintain a total 12 children, and to support Mexican house parents and an assistant, water and utilities, medical expenses, tuition and educational supplies, food, personal necessities, insurance, and transportation. Children without parents need a place to grow up among people who know and love them, a new family to support and prepare them for a productive life as an adult. Casa de Fé’s purpose is to meet this need. To donate or get involved, contact Bill and Carol at the San Felipe Homebuilder Office at Plaza Paraiso, Km 178.5 Carret. 5, Mexicali-San Felipe or by email carol@sanfelipehomebuilder.com or visit them at http://www.casadefe.info. The Home Depot has donated to our CLUB a great amount in material: $944,145.93 pesos (over $77,000.dlls!) worth of material. Cost. They are a socially responsible business that helps their community. The official donation event took place on Friday, at 10am in the Home Depot entrance (in Pabellon Rosarito). They had the Human Resource Manager, Daniel Valdez do the official presentation. Present were: The Home Depot Team of 11 persons who did the inventory. Luz del Carmen de Calderon, CLUB's Treasurer; Enrique Villalvazo, CLUB's Secretary; the Mayor, Hugo Torres Chabert; and the CLUB's president, Rosy Torres. After the ceremony and pictures, we loaded up the flat bed trailer truck (truck was donated by City council member Jaime Gaona) It took 3 trips and 8 hours in the truck to finish the delivery into the CLUB's now official storage facility. all in Rosarito. The CLUB will soon have auctions, raffles, and all types of events with this wonderful material. Some of the material will also be used in our last stage of construction. 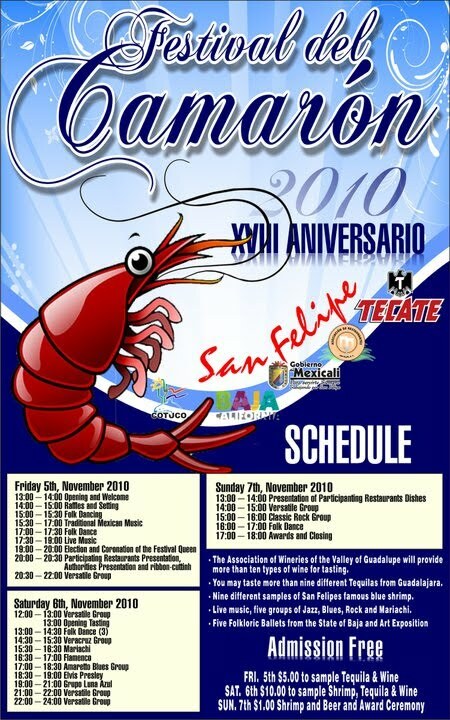 Three days of celebrating the shrimp industry and all it contributes to the culture of Baja is about to kick off in San Felipe. The San Felipe Shrimp Festival will officially take place from November 5th through the 7th on the Pier and the main avenue. The XVIII edition of the Shrimp Festival promises to be bigger and better than ever before. While the shrimp season is well underway, the festival will incorporate other industries and how they tie into the area’s dependence on and love of the shrimp fishing industry. This year, showcasing the culinary art of preparing and using shrimp in a wide variety of ways will be a main goal of the festival. Other industries, such as Baja California wineries and Traditional Tequila Producers will be part of the festivities. Area folk artists will also be on hand to make the festival all the more diverse and appealing to everyone. The festival is typically held after election week in the U.S. and before the onslaught of the Baja 1000 race crowd. 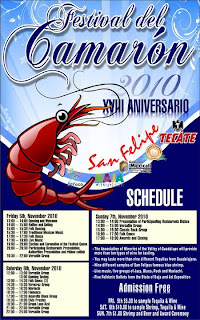 The festivals ability to draw a grand and varied crowd, along with reaching out to other businesses to expand the festival, is indicative of the shrimp industry’s importance to the local culture and economy. The shrimp industry knows shrimp season is about more than bringing over 500 tons of shrimp from the sea, but also a time for scientists to explore and study the impact on the ecosystem. Scientists and fishermen alike have worked together over the last several years to study shrimp, the gear used to catch them, the impact on the environment and also ways they can incorporate sustainable fishing practices. The enforcing of regulations to keep the industry alive and prosperous while working to explore new ways to safely fish is in the best interest of all parties. Continued success of each season will only translate to continued success and growth of the festival geared toward celebrating this time honored livelihood. Registration is underway for the sixth Rosarito-Puerto Nuevo Half Marathon on Nov. 7, an event that organizers hope will attract 600 participants in various categories. Categories for the event along the Pacific Ocean are men, women 18 to 24; 25 to 29 30 to 34; 35 to 39; 40 to 44; 45 to 49; 50 to 54; 55 to 59 and over 60 years. There also is a wheelchair category. Trophies will be awarded for first, second and third place in each category, including wheelchairs. 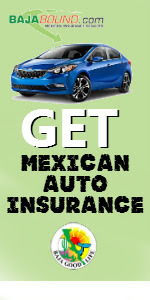 Cash prizes for the absolute winners in both branches are first $5,000 PESOS second $ 4,000 PESOS and third $ 3,000 PESOS. For winners in the wheelchair categories in both branches first will be $1,500 PESOS, second $1,000 PESOS and third $500 PESOS. The winning Rosarito residents in men and women's categories will each receive $2,500 PESOS. They must prove at least three years of residence with a valid I.D. Commemorative medals will be awarded for the first 150 men and 50 women who finish and 600 event T shirts for participants. Entry fee is $100 pesos or $10 U.S. and registration is available at the Rosarito Convention & Visitors Bureau, the Institute of Sport in Rosarito and the Restaurant Puerto Nuevo II. From the U.S. people can phone 1-800-962-BAJA. Management of the event is provided the State Association of Athletics of Baja California and the event is endorsed by the Mexican Federation of Athletics. "This event is a tradition in Rosarito and people are excited about another great event with a large of number of participants," said Gerardo Medina, president of the State Association of Athletics. Tourism promoters in the Tijuana-to-Ensenada corridor Tuesday called on the federal and state governments to help reverse the dramatic drop in U.S. visitors since 2007 by increasing their promotion of the region. Normando Novelo, an Ensenada hotelier and vice president of Baja California’s tourism board, said the tourism industry is asking that at least $5.6 million be allocated next year for promotions and crisis management, up from the current sum of $3.2 million. “We need the federal government to give the region the attention that it deserves,” Novelo told Mexico’s tourism secretary, Gloria Guevara Manzo, during a meeting in Rosarito Beach. The state’s tourism sector has suffered due to factors such as a recession and a rule requiring passports for U.S. citizens returning from trips to Mexico. But Novelo said the biggest factor has been many Americans’ fears of visiting Mexico because of news reports about drug-related violence. “They think we’re in a state of war here, and that’s not correct,” Novelo said. Tourism-related business owners also are asking for more funds for separate public relations efforts. The state and its five municipalities pooled together $300,000 to hire a U.S. firm to elevate the region’s image. Novelo said the group hopes to have $1 million next year by getting additional state and federal money. Among the areas hardest-hit by the decline in U.S. tourism is Rosarito Beach, where about half of the city’s revenues are derived from tourism and related activities, said Mayor Hugo Torres, who owns the Rosarito Beach Hotel. Foreign tourism there has plummeted 70 percent since 2007, he said. Crime in the city is down to its lowest level in the past seven years, Torres added, but the message has not gotten across to the U.S. public. In Ensenada, the number of cruise-ship passengers has dropped by 40 percent. 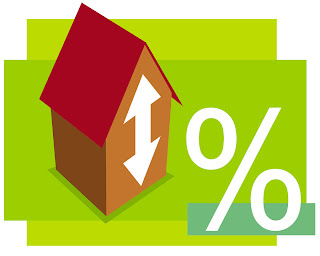 For some indicators, the numbers have leveled off or shown a slight improvement, Novelo said. Novelo said the region also needs a “whole identity project promoting the corridor from Tijuana to Rosarito to Ensenada.” The efforts would include standardized street signs, greenbelts and rest stops for visitors. He also called for measures to protect scenic spots along the corridor. Without them, “We could end up with a wall of condominiums that instead of strengthening our attractions, end up weakening them,” Novelo added. Guevara, Mexico’s tourism secretary, wants U.S. tourists to stay longer in border regions. She said the state’s wine region and the Gulf of Mexico are featured on a list of 10 tourist routes across Mexico unveiled earlier this year by federal tourism officials. The appetite for off-road stage races is still growing. The Trans Alp challenge in Europe, Cape Epic in South Africa and Trans Rockies in Canada are a few that have continued to grow over the last few years. Response to the concept of The Baja Epic has been overwhelmingly positive. 26 International mountain bikers showed for the inaugural race and more pro and amateur racers have given positive RSVPs for the second edition in 2010. The mountain bike community is technically savvy, with an active internet community that creates buzz for new events. Word about the Baja Epic will travel fast. The State of Baja California is 100 percent behind the event and is cooperating in every way for another flawless event. Preparations are underway for the 2nd edition of our mountain bike stage race in the most beautiful trails of Baja California. By popular demand from the Pioneers of this inaugural race in 2008, this year the event it's back, and it will include an almost 40 mile loop within the surroundings of Hacienda Santa Veronica in Tecate, with almost 90% of the course will be single trails. The Baja Epic Mountain Bike Race is a 3 day Mountain Bike Stage Race that starts right on the beach, Thursday Nov. 4th with a stage from Rosarito Beach to the Hacienda at Santa Veronica, and covers a total of almost 250 miles and 14,000 feet of climbing on single-track and dirt roads. "The Baja Epic will be a little more fun than most existing stage races," said Armando Carrasco, president of Too Much Fun Promotions, the race organizer. 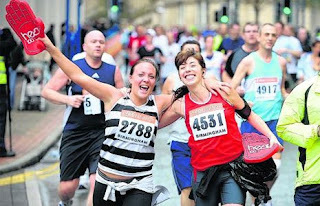 "Racers and guests will have the opportunity to stay at host hotels every night. We will pick up participants from the San Diego and Tijuana Airports and transport them back and forth to the start of the event. With strong connections to the cycling world, Carrasco will draw past, present and future stars to the Baja Epic MTB Race. It will start and finish in Rosarito Beach, but will definitely include the City of Tecate. The course will highlight Baja's diverse geography—from beach to high alpine terrain. The Baja EPIC has many allures: a chance to race in an exotic locale; a destination that's easily accessible for American athletes (racers will fly into San Diego and be shuttled to the start by organizers); an epic physical test for everyone from world class racers to accomplished amateurs; and the organization of a company that has earned a reputation for excellence over the last 25 years. There are three packages of registration for the event: full package, economy package and the new JUST RACE package. The full package racers will be transported by bus from the San Diego Airport to the start on Rosarito Beach, and from stage to stage, the economy package entrants will provide their own transportation and lodging at each stage, and includes all the breakfasts and some goodies, while the just race package it's just the entry to race. Get ready. 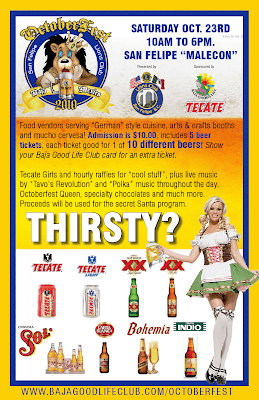 The 2nd editon of the Baja Epic starts at 7AM in Rosarito Beach on November 4th, 2010. See you there. BAJA UPDATE - Know Your Rights with Traffic Violations. Many people have experienced or know people who have been stopped for perceived or true traffic violations. Some have been told that they can pay the officer and go on their way. 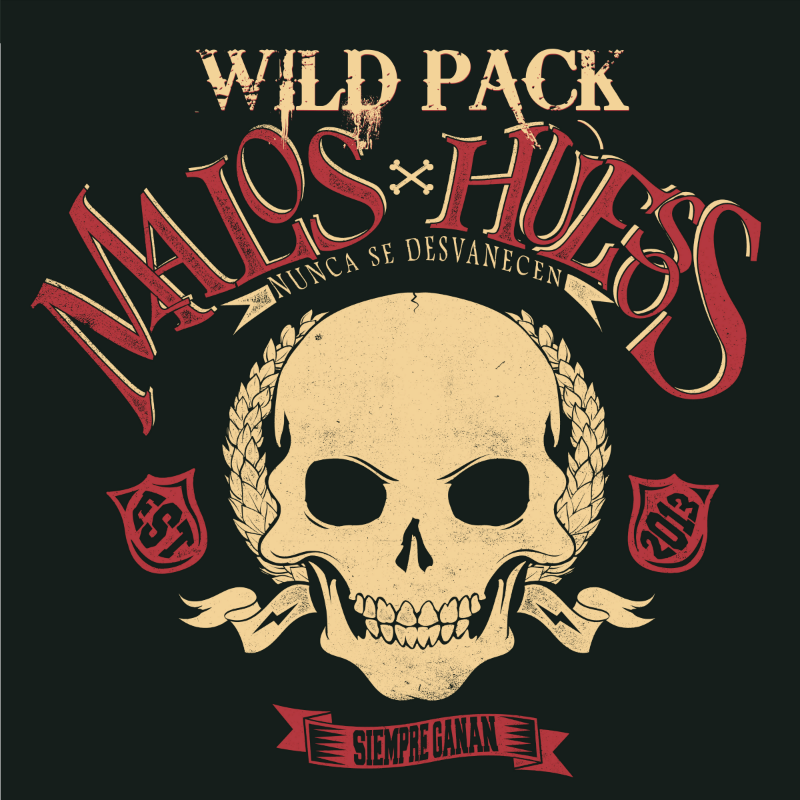 DO NOT pay the offending officer(s) anything, Instead hand then the document "NOTICE TO MEXICAN POLICE OFFICERS / AVISO A USTED OFICIAL DE POLICIA" (Link below) to read. Keep this document with your vehicle registration and give it to the officer if or when you get stopped. 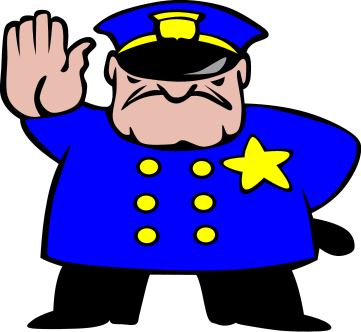 Do not pay a mordita/bribe, hand the officer the letter and explain that you will voluntarily follow the officer to the local police station, where the can have the pay the required fine. The letter was provide by El Dorado S.A.F.E. 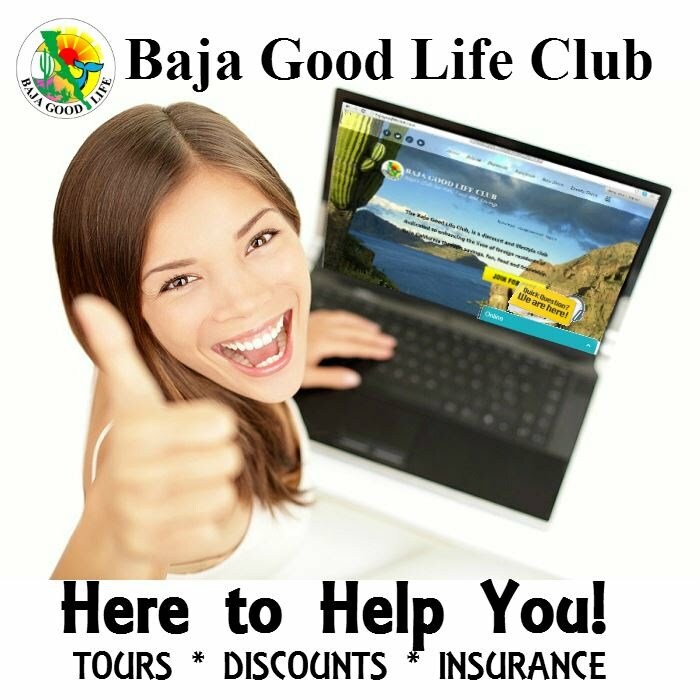 (a volunteer group made up of owners at El Dorado Ranch in San Felipe), and supported by the Baja Good Life Club. SAN FELIPE - Shoes for Spays! Donated gently worn to brand new shoes are the magic bullet for ZAPP Spay/Neuter Project. 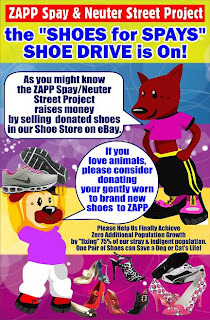 We can take any shoe donations and photograph them and put them up on eBAY in our our shoe store and turn them into cash for our spay/neuter project. As long as they are resell-able, we can take men's, women's, casual, sporty, flats, heels, boots and even handbags. Please drop them off at our booth any Saturday morning at the El Dorado Swap Meet, or One of a Kind Fashions, or the People's Gallery. You can also drop off shoes and donations for our Silent Auction and Casino Event slated for Saturday, November 13th at the Pavilion at either Sunrunner Mail Service or YET Mail Service. The Paris-based OECD has released the results of a study which shows that Mexico needs to significantly raise its property taxes from 0.2% of GDP to 2.0% of GDP. Despite an increase in state government tax revenues since 2007, the local (city and municipal) authorities have not turned to property taxes as a source of additional income, and thus are wasting an opportunity that would enable them to offer better services, according to official data. The report has not passed unnoticed in Mexico and there is general recognition that, if the country is to move into the age of technology, much more needs to be spent in education of people at every level and in providing new infrastructure. Property taxes look like the best way to achieve such substantial investments as the wealthiest people will pay the most. The taxes on a similar coastal property in the United States would be several (many?) times that in order to provide the infrastructure and services that citizens demand. Bottom line ? Expect a slow but relentless increase in taxes. 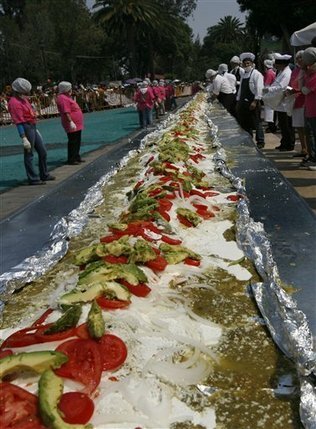 LA PAZ, Mexico – More than 3,000 people will roll up a 2.7-kilometer (1.7-mile) burrito next month in Mexico, hoping to break the last Guinness World Records-setting mega-morsel by 700 meters (yards). "Fifty-four restaurants and more than 3,000 people, including cooks and gastronomy students" will prepare the 30-centimeter (12-inch) -wide wrap on November 3, National Chamber of Spicy Food Restaurant Industry president Lorena Hinojosa told reporters. The current record-holding burrito was made in 2000 in eastern Reynosa, on the US border. It stretched two kilometers (1.25 miles) from end to end. Hinojosa said the rival burrito will take 12 hours to make, starting at midnight, and will pack three tons of fish, two tons of corn flour, half a ton of beans, 200 kilograms (450 pounds) of butter and 200 kilograms of salt. Once finished and measured for the record book, the burrito will be sliced up and served to 27,000 awaiting people in the Baja California capital La Paz at no charge, she added. One of Mexico's traditional fares, the burrito was first put together during the Mexican revolution (1910-1920) in Ciudad Juarez, across the border from El Paso, Texas. 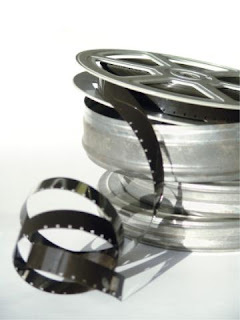 “Ciclo Centenario de la Revolución Y si Adelita se fuera con otro” is the theme of November’s Saturday night movies at 6:30 p.m. at the newly opened cultural centre on 16 de Septiembre near Belisario Dominguez. by Emilia Fernández. Admission is free. 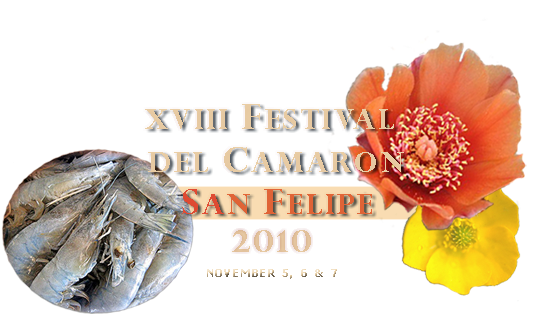 The Organizers of the XVIII Edition of the Shrimp Festival are committed to bring you the Best Event of it’s kind in San Felipe’s recent history. What is our Goal this Year ? The Festival focuses this year on the culinary aspects of the Shrimp Season and combines it’s offer with some of the most renown Baja California Wineries, Traditional Tequila Producers and Local and Regional Folk Artists. A new concept that focuses on the Visitor Experience and facilitates an enriched exchange between the Chef’s creations and the public, with an emphasis on Restaurants, Local Commerce and YOU our Visitors. The organizers of the XVIII Edition are creating a network among all local Commerce , Restaurants and Hotel Owners to guarantee that your experience during your stay in San Felipe will be unforgettable and completely satisfying with an emphasis on Quality and Safety. Drawing an end to a fun-filled south of the border family getaway, Jennifer Lopez and hubby Marc Anthony were spotted arriving back to Los Angeles, California on Monday afternoon (July 26). Having celebrated Jen's 41st birthday in Los Cabos, Mexico, the "El Cantante" couple looked nicely relaxed as they toted Max and Emme from the private jet upon touching down at a local airstrip. On the way to their awaiting minivan, J Lo proudly checked out her famous backside in the reflection of the car's window before finally loading up for the ride back home. As for how she keeps her curvaceous derriere in fine form, Lopez said that she does squats daily along with a workout that has a "more feminine approach" including yoga. And while she does stick to a strict diet, the "Love Don't Cost a Thing" singer says it's "not one of those health freaks who believes in not eating any sugar or dairy products. I eat almost everything, but in moderation." 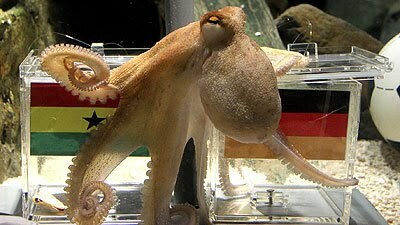 Paul the Octopus, who became a World Cup phenomenon after predicting correctly all Germany's matches and the World Cup final, has died. The news was announced by the Sea Life aquarium in Oberhausen, Germany. The staff said they were "devastated" to learn that Paul had passed away during the night, BBC reports. "We are consoled b the knowledge that he enjoyed a good life here and that the care provided him by our dedicated displays team could not have been better," said Stefan Porwoll, manager of the aquarium, as cited by ESPN. Octopuses rarely live beyond two years. Said to have been born in 2008, his death was not unexpected. Paul gained international fame this summer during the 2010 FIFA World Cup, where he correctly predicted all games involving Germany and also picked Spain to win the final over the Netherlands. Before each game Sea Life staff helped Paul make his prediction by lowering two boxes of food into his tank, one carrying a German flag and the other bearing that of their opponents. The case he opened first was adjudged to be his predicted winner. Thursday, October 7, 2010 at 10:28 a.m.
TIJUANA, Mexico — If Tijuana is safe enough for Al Gore, three Nobel laureates and a founder of Twitter, isn't it safe enough for anyone? The long-denigrated city is hosting a gathering of big names to get that message across. A two-week festival kicked off Thursday to showcase the border city's economic prowess and cultural riches - and aims to demonstrate that Tijuana is no longer in the grip of warring drug traffickers. Organizers plan to set the city dancing to cap the celebration with a choreographed performance by 100,000 students and others in shopping malls, schools and factories to music by Tijuana-born musician Julieta Venegas. Once notorious as a tacky south of the border stop for adventurous Californians, Tijuana built itself into one of Mexico's wealthiest and most dynamic cities by the end of the 20th century, a base for manufacturing plants serving the U.S. market, a fountain of musicians and artists. It also became plagued by drug violence that drove away tourists and terrified its own citizens. Civic boosters now portray the metropolis south of San Diego as a beacon of hope in the Mexican government's war on drug traffickers that was ramped up in 2006 by President Felipe Calderon, who will deliver the festival's opening remarks. "We are the only city in the country that has gone from a state of crisis to a state of control and stability, the only one," Mayor Jorge Ramos said Wednesday at a ceremony to honor Tijuana police. Tijuana's sense of relief may prove fleeting. Violence roared back in the border city of Nuevo Laredo after a lull, and there is no indication of a slump in the flow of drugs into the United States - or the wealth of the gangs that supply them. And while gruesome displays of violence have diminished in the city, killings continue. Tijuana had 597 murders from January through September, up 33 percent from the same period in 2009 though still at a clip to fall short of a record 843 deaths in 2008. Still, that's far from drug war hotspots like Ciudad Juarez, a similarly sized border city across from El Paso, Texas, that has spun out of control with more than 2,200 murders this year. "It's a marvelous city with lots of action and a rich culture," said longtime resident Priscila Alonso, 51. She said she hasn't heard of any friends being kidnapped for ransom in the past three years. Tijuana is coming off the most violent spell in its history, marked by shootouts between rival gangs, decapitated bodies dumped near schools and mutilated corpses hung from freeway bridges. The carnage was the product of a showdown between two crime bosses - Fernando "The Engineer" Sanchez Arellano and Teodoro Garcia Simental, a renegade lieutenant who rose through the ranks with tactics such as dissolving bodies in vats of lye. Even before Garcia was arrested in January, some signs of normalcy had returned. Restaurants got busier. A vibrant nightclub scene re-emerged near the city's main tourist drag, Avenida Revolucion. Many credit the Mexican army and the city's public safety chief, Julian Leyzaola, a former army officer who has forced out hundreds of allegedly corrupt police officers and aggressively pursued crime bosses. Both the army and Leyzaola's forces have been dogged by accusations of torturing suspects. Tourism is still way down from several years ago. The California State University system banned travel to Tijuana for its programs in March after the U.S. State Department warned about the dangers of visiting parts of Mexico. The Marine Corps has also told service members in Southern California to avoid the city. The government of Baja California, which includes Tijuana, is fighting back with a public relations campaign and the "Tijuana Innovadora" - or "Innovative Tijuana" - festival that begins at the city's gleaming cultural center. The event is the brainchild of businessman Jose Galicot, a city cheerleader who led a campaign several years ago to decorate tunnels with murals. Galicot, 72, said he needed surgery a year ago and learned that the city is a major producer of medical equipment. He decided that Tijuana needed a show to promote its manufacturers, which make televisions and many industrial goods. Galicot wanted big names to draw attention. His first catch was Gore, who will give a speech about the environment on Oct. 14. Then come Mexican billionaire Carlos Slim, who will discuss philanthropy, Twitter co-founder Biz Stone, Wikipedia founder Jimmy Wales, Mexican media moguls and many others. Some have no connection to Tijuana. Every Wednesday morning for the last six months, Galicot has updated civic leaders about his plans over coffee and cookies. He said Tijuana newspaper editors responded well to his plea to publish only positive news on front pages for the next two weeks. Galicot, speaking with a hoarse voice, begins all meetings the same way. "The only protagonist of this event?" he asks, twice. About 100 voices reply: "Tijuana!" LA PAZ - How "Baja Dogs" Got Started. In 2003, my husband was diagnosed with brain cancer. Over the next 28 months, while nursing him in my home town of Port Coquitlam, I lost my mom, my closest friend and her family plus my father. During this devastating time, I needed a reason, a purpose to go on. Knowing that my husband was terminally ill, to keep myself going, I made a list of what I could do to make a difference. One of the things I thought of was to return to La Paz and help the tick ridden, starving dogs I had seen along the highway as we had driven south on previous vacations. My husband died in April of 2005. I planned to return to Mexico with my 3 dogs but unbelievably, I lost both my Jesse to bone cancer and my Annie before I was able to make my trip south in October, 2005. Finally arriving in La Paz and thinking I could outrun my grief, I started to work on my dream. I approached the head of the small community where I lived in El Centenario, and asked him if I could go into the schools and speak to the children about respecting animals, promoting a spay and neuter program and prevention of diseases than can be spread by sick dogs. I thought it strange when he asked me if I could give them something to eat but I said yes. I thought he meant a cookie. A short time later he took me to the school and announced in front of the children that this was the lady who was going to give them breakfast everyday. That is how the first of two breakfast programs for 80 children got started. Still determined to help the animals, I opened an "association civil", a registered charity. The paperwork was horrendous and of course, in spanish. I made a lot of mistakes. Mexico, I quickly found, operates very differently than Canada; they love paper. I then purchased an older house on the highway in El Centenario. I quickly learned that there are dog limit restrictions and I was unable to keep the number of dogs under this limit. People threw dogs and pups over the fence. We couldn't keep up. Sick dogs spread diseases and tick infestations occurred . It got out of hand and I knew we had to move. A wonderful couple form Port Moody, BC, donated 3 hectares of ranch land to us. I then started to construct a refugio. It was very challenging. In Mexico, construction is male dominated. Even though I had tons of experience in Canada, building in Mexico was a challenge. None the less, the refugio was built. I used my own funds for all of the construction I also had also been subsidizing the monthly expenses, but by 2008 I was not able to continue doing this. The Board, refugio committee and volunteers donated a lot of what was needed including food, bleach, etc., but the monthly expenses were what kept us awake at night. We were having a hard time paying electricity, telephone, staff payroll , medicine and veterinary fees. We are tax deductible in the US and need to find a way to become so in Canada and Mexico. Our expenses are approximatley $2,500 US and our donations have fallen to $1,100 US. We have only 2 - 3 months to increase our monthly donations or we will be out of funds. Our expenses are based on caring for approximately 50 dogs at one time. Unfortunately, we have had to turn dogs away, and this is heartbreaking. To date, we have seen 545 dogs enter the refugio and have adopted many locally with 214 going to Canada and the US. I am appealing to all of you who have read our Newsletters and love to hear our Happy Tails of the unwanted, abused and starving pups who now live in loving homes. Please consider donating monthly. Go to Paypal and allow us to keep doing the work we are. I guarantee every cent is used for the care of the dogs. A monthly donation of only $10.00 will feed a medium sized dog for a year. SAN FELIPE - Octoberfest was a fun filled and exciting day. Saturday Oct. 23rd from 10am to 6pm. The event was be held on the "Malecon" There were vendors serving a variety of "German" style cuisine and Arts & Crafts booths. There were 10 different beers to taste and all enjoyed the favors of beer and food. The Tecate Girls were there and hourly raffles; the day was fun filled and exciting! Thank you San Felipe Lions Club for a successful event! San Felipe Gift and Crafters Guild Rumors Bar and Grill, was a great success! 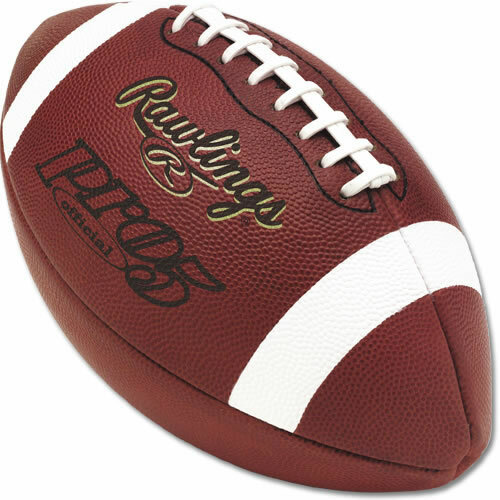 Held on Sunday, October 24Th 10:00am-3:00pm . Check out the pictures of all the fabulas vendors. Born in Mexico City in 1952. Early in his life his family moved to Monterrey, Nuevo León, where he felt the call of the Art. He entered the School of architecture of the State University but, after some time he decided that this career did not carry the type of expression that he craved. Looking for a better development of his artistic leanings, he entered the School of Visual Arts of the State University to get a formal education in art.After getting his degree in visual arts he attended several courses, seminars and workshops and participated in several exhibitions, both collective and individual. Cabello has been able to capture the paradox in the daily small moments, creating a sort of anecdotal register of ever day events expressed in imagined metaphors. It is easy to appreciate in his work, both the early production and the most recent output, the recurring appearance of stylized parsonages, apparently commonplace but which, upon closer observation, reveal an generic origin, fascinating the spectator as he gets involved in the discovery of that that Cabello´s brushes tries to extract from his personal experience, where it discovers itself transformed, starting from that childbirth which has been left behind when the frontier of reality was crossed…. so, in the realm of fantasy the idea gets a magic sense, something surrealist which make us enter in a world of dreams where, curiously, that which we should find strange, is precisely that which has engaged us, those things which appear to be a part the psyche … those, our disintegrated beings. So, the artist offers us his collection of dreams, to be read through the lens of the unconscious, that archaic language of the visceral. The oil and the watercolors have been his preferred tools for the development of his visual narrative. His work presents us the ambivalence of forms, which are fragmented or in a moment of dispersion, but still fighting to maintain their oneness; images which point us toward two concepts: fragility and human scission, and in the other hand, the lovely presence of his bohemian characters, tango dancers, lovers, singers or just simple figures floating blissfully in the sea,, playing chess, sleeping, painting, Etc. Living their dreams, masters of their time, created with warm colors in intimist and nostalgic environments. They break that crude reality which pursues us and from which we would like to escape, that fragility disguised as strength, and the current cult to the hastiness for the hastiness itself, which ironically appear in the thoughts of the spectator when he finds them lacking in the painting. The artist finds the way to create a relief valve against the demands of a suffocating society and he does that merrily. Classes and lectures on oil painting, watercolors, etching, and drawing, with Hector Carrizoza, Jose Luis Cuevas, Rodolfo Rios, Xosse De Sade, and others. The 4000 year old ancient Aztec celebration with a twist of Catholicism is quickly approaching. Day of Dead festivities and celebrations are always held from October 31st until November 2nd. Each community has their own distinct celebrations that have grown and evolved over generations. However, the significance of certain days is universal in meaning. November 1st is the Vigil of the Little Angels, a time to remember children who have died, and November 2nd is the Vigil for Adults. Day of the Dead is the time families can pay homage to those who have passed. They believe, through a series of rituals and offerings, that this is the one time of year their dead relatives can return to share a meal and have their souls return to be close to them again. It is also a time to celebrate death as a transition and honor all past souls who continue to watch over and protect the living. As an example of the holiday's catholic roots, it is also a time to help and pray for the souls who are still waiting in purgatory. To honor and call forth those family members who have passed, a family will create an altar in the home. The altar typically contains remembrances of that person, including photos, favorite books, toys, foods and drinks. Incense and candles are also used. The dead are said to be able to take in or absorb their favorite dishes and drinks; therefore the living wait to imbibe and enjoy meals. Marigolds are used in decorating because their scent is an alluring scent the dead will follow on their journey home. Each altar will also contain items representing earth, wind, fire and water. While they may all have things in common, a family's altar for their loved one will be as unique as the person they are intended to honor. Some of the community-wide events include the making and sharing of skull sugar candy and death bread (sweet muerto). Entire groups will descend on town cemeteries and paint and spruce up the headstones. They may also leave blankets and pillows for the dead to use in order to rest after their journey. Government offices, schools and just about every place in the local communities will take part in the festivities. Day of the Dead continues to live on a lively and honorable way to celebrate all who are missed everyday throughout the year. The East Cape Arts Association announces that they would be holding their first annual music festival “Full Moon Rising” on November 21, 2010. The festival will be at Rancho Buena Vista, just south of Los Barriles, from 4:00 p.m. until 10:00 p.m. The first-class line up includes Steven Bernstein, international recording artist, and Grammy nominated modern jazz slide trumpeter. A staple of the New York Jazz scene, he brings high energy to the stage. The Todd Clouser Quintet will accompany him. The fusion of 70's rock, Curtis Mayfield groove, and modern jazz, has earned this San Jose band a reputation for energetic and engaging performances. Samantha Rae --- Latin American Idol 2007 finalist and recording artist will be treating the audience to soulful ballads and powerful Latin American pop. Speakeasy, who plays Thursdays at La Internacional in San Jose, will perform New Orleans blues/jazz with Paul Clade on vocals and guitar. Los Viejos, from Los Barriles, brings 70s rock, country and dance music to the stage. Standing at the crossroads of Jam Band Music, Funky Jazz, and Rock ‘n Roll, Skeleton Key plays your favorites with a very different spin. Plácido Arce, from Los Barriles, plays six and twelve string guitar while singing soft Spanish ballads. The gates will open at 3:00 p.m. The event is “festival seating,” so bring your lawn chair or blanket. Food, soft drinks, and alcoholic beverages will be available for purchase. Coolers and pets are not permitted on the grounds. Those wishing to stay overnight can reserve a room at one of these fine area hotels: Rancho Buena Vista (624) 141-0177, Hotel Buena Vista (624) 141-0033, Los Barriles Hotel (624) 141-0024, Los Pescadores Hotel (624) 121-8786, Martin Verdugo’s (624) 121-8786, Palmas de Cortez (624) 141-0050, or Sunset Villas (624) 141-0381. • Baja Beach Company in the Plaza Pueblo, Los Barriles. by the new bridge to La Playita and Puerto Los Cabos. • San Jose Mercado Organico and Palmilla Organic Market- every Saturday starting Nov 6. • Attorney Gisela Talamentas’s office - Isabel La Católica Street #1625, La Paz. Tickets at the door are $25.00 USD ($320 Pesos). 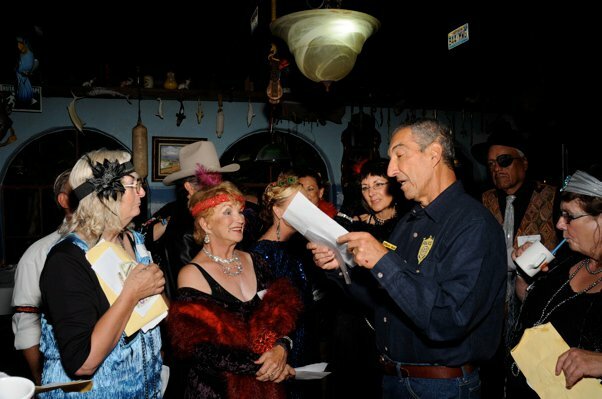 On October 20, La Bufadora Restaurant presented a Murder Mystery Dinner. Set in the 1920's , the Juice Joint was the place to be for gangsters, molls and crooked politicians and law enforcement. 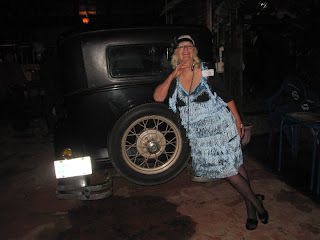 I (Jan Burg) arrived in a 1920s Ford, with a driver / body guard. All the guests dressed in 20s attire and drinks were served in coffee cups. There was a large array of appetizers to get the party started and then dinner was served, beginning with a creamy crab in a pismo clam shell, followed by minestrone soup, salad, pasta, shrimp and steak. There were 3 participants who were able to guess the murderer. Who was the Murderer? It was...the Chief of Police! He murdered Nick, North side gang leader. Everyone participated to the max...dressing, playing their parts, etc... (everyone had a part). The funniest thing that happened is that when the murder took place, the lights went out (but it wasn't really dark) and the victim fell dead to the floor. People screamed and then the shots that killed him rang out! We have to work on our sound effects a bit. We will be having another Murder Dinner at La Buf' Adora Restaurant in December. 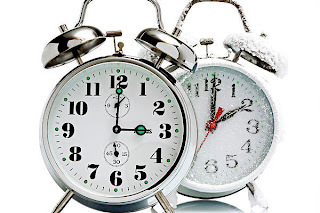 Remember to Set Your Clocks on October 31st or November 7th. Daylight saving time (DST) will end in most of Mexico, on Sunday, October 31, 2010. Northern Mexico’s border cities & Sonora, will end DST schedule on November 7 with the United States. Send us your Calendar of Events to bajareport@gmail.com. In the Subject line list the City in all CAPS then the title of the event. 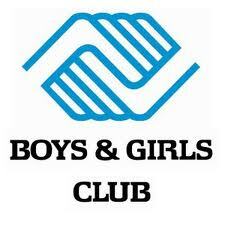 This is a community service for all of Baja provided by the Baja Good Life Club. Nov 7: Rosarito Beach / Puerto Nuevo Marathon. www.rosarito.org. Nov 28 Sun 2nd Annual La Paz Festival D'arte. 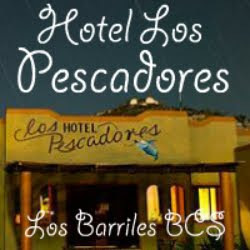 LOS BARRILES - Alma's Fishing Tournament "For Pets' Sake"
And only one day of fishing this year! We will have one day of fishing and a costume party on halloween! along with providing pet food for those who can't afford it! Great prizes of rods, lures, and other surprises for anglers! and ticket to the awards dinner! Awards dinner and costume party on October 31st at Hotel Buena Vista Beach Resort. Lots of fabulous silent auction and raffle prizes--- fun for everyone!!!! 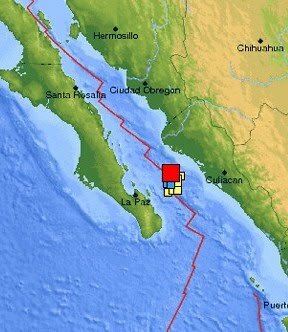 There have been no reports of damage or injuries at this time, but the 6.9 magnitude earthquake struck at a depth of 10km around 11am local time. It struck at a distance of 105km from Los Mochis, Sinaloa and 1147km from Tijuana, Mexico. We will update this post if more information becomes available. NEWS & POLITICS - Should America's illegal immigrants be offered legal status? There are 11 million illegal immigrants living in the US. With midterm elections around the corner, the immigration reform debate is heating up – fueled by everything from Arizona's controversial immigration law to the 14th Amendment's birthright citizenship clause. Immigration laws exist for a very good reason: Excessive levels of immigration can have a profoundly negative impact on the receiving society. There is no aspect of American life – jobs, wages, education, health care, taxes, environment, to name a few – that is not affected by immigration. The cost of amnesty is too high. Americans already bear a $113 billion annual burden from their government’s refusal to enforce immigration laws. Millions of jobs – that Americans want and need – are filled by illegal immigrants willing to work for low wages. Amnesty would make the largely poorly educated and poorly skilled illegal immigrant population eligible for costly benefits and services, increasing the burden for American taxpayers, and paving the way for family members to follow them here. Amnesty “solves” the illegal immigration problem in much the same way that raising the speed limit to 150 miles per hour “solves” speeding. The illegality is removed, but the detrimental consequences to everyone else grow worse. Rewarding lawbreaking is wrong and only generates more of it. We granted amnesty to some 3 million people in 1986 and now have at least 11 million illegal immigrants in United States. Instead, illegal immigration should be addressed by systematically removing the incentives that draw people to this country illegally. 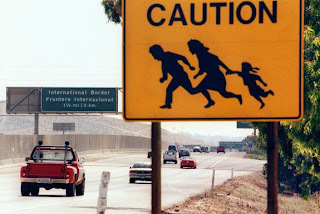 Illegal immigration actually declined in recent years, as people reacted rationally to the recession and belated efforts by the Bush administration to enforce immigration laws. Resuming work-site enforcement, eliminating nonessential government benefits and services, enhancing cooperation between local and federal authorities, and other measures provide an alternative to mass amnesty – and would better serve the interests of the American people. Americans are justifiably frustrated that 11 million unauthorized immigrants now live in the United States. Yet the majority of them would have preferred to come legally; there was simply no way under current immigration laws. Moreover, most of them are working, paying taxes, and buying US goods. Other than lacking legal status, most are law-abiding residents. Many are married to US citizens, with children who are citizens. The problem is that they are often willing to accept low wages and poor working conditions, which creates unfair competition for US workers and gives unscrupulous employers an unfair advantage over law-abiding employers. We could continue on the same path we have pursued for two decades: spending more money on enforcement and passing increasingly harsh laws in an attempt to drive unauthorized immigrants out. But despite the billions of dollars we’ve spent building walls, hiring border patrol agents, and detaining and deporting hundreds of thousands, the unauthorized population hasn’t decreased significantly. Instead of “enforcement only,” we should offer unauthorized immigrants a chance to come forward, register, pay a fine, learn English, pass background checks, and legalize their status. Legalizing them would inject a new level of certainty into their lives, allowing them to invest more in themselves and their communities. Legalized immigrants will earn more, pay more taxes, consume more, buy houses, start businesses, and contribute more to the economy. Americans want real solutions to the problem of unauthorized immigration that are practical and fair. Enforcement alone has failed. We need comprehensive immigration reform that includes a legalization program. MEXICO CITY, -- Officials in a Mexico City said 600 residents made it into the Guinness Book of World Records by creating the world's largest enchilada. Guinness officials said the Iztapalapa borough's enchilada, measuring 230 feet, 12 inches in diameter, beat earlier attempts elsewhere in the country and in the United States, La Jornada reported Monday. The enchilada, which was worked on by 600 locals, weighed in at 1,032 pounds and included massive amounts of corn dough, chicken, cheese, onions, Serrano peppers, tomatoes and other ingredients. Mexico City Tourism Minister Alejandro Rojas said the enchilada was created to bring attention to the borough as part of an effort to boost tourism. Sea kayak tours have been an increasing part of the local economy since the early 1980s yet it has not been part of the local culture to kayak for enjoyment or to consider sustainability in their use of the environment. That is changing. There are many stories to tell here, and the Loreto Kayak Symposium, organized by Ginni Callahan and Ivette Granados of Sea Kayak Baja Mexico, is just a small chapter. The vision for the event is to be "a force for sustainable tourism based on sound ecology and appreciation for the natural landscape." To that end, the event aims to make kayaking accessible and fun for everyone including kids, families, young adults, professionals, adults and university students. The Loreto Kayak Symposium will also make professional kayak training available, such as for guides and instructors. October 23-24 activities begin at 9am just north of the Marina and include talks, demonstrations, classes, races, tours, and evening presentations. This Festival Weekend provides a fun environment to find out what kayaking is about and an invitation to learn more. All land-based activities are free and all on-water activities cost $100 pesos. Come participate in this historic event! Event sponsors include the National Marine Park of the Bay of Loreto , the Loreto Campus of the Autonomous University ofBaja California Sur, the Municipality of Loreto and Hotel Tripui. Race prizes are sponsored by Kokatat, Werner Paddles, and Sea Kayak Baja Mexico . Safety boaters are needed for Sunday afternoon's race from the Loreto Marina up the coast about 2 miles and back. If interested, please contact Ginni atinfo@seakayakbajamex.com.